Universal helmet lock anchor with Black clip. 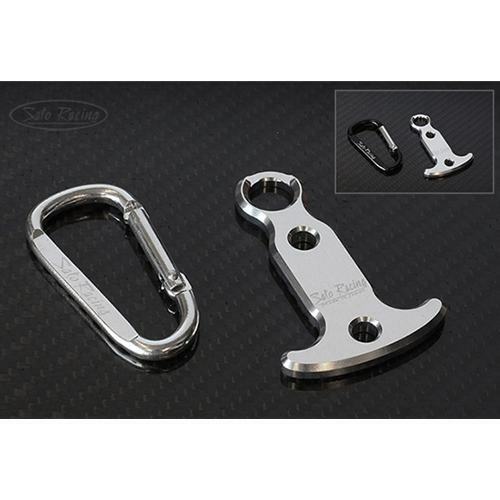 This popular accessory is a must if you have the Sato Racing Helmet Lock or any helmet lock. Anodized billet aluminum provides the perfect attachment. Comes with a handy BLACK clip so you can keep it conveniently on your key ring.